The roofing, insurance, and solar industries are undergoing a fundamental change in the way they operate. No longer do you have to spend valuable time manually inspecting roofs to process insurance claims, detect damage, or plan and design solar array installation. The latest technology allows inspectors to save time, increase productivity, and improve worker safety by leveraging drones for roof inspection and measurement. DroneDeploy’s new roofing solution can help you automate the collection of high-resolution roof imagery, accurately make measurements, and generate comprehensive roof reports 3x faster than traditional methods. 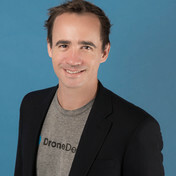 Watch this webinar to hear from DroneDeploy accuracy expert Andy Putch and Nicholas Pilkington, CTO, as they take an in-depth look at the new roofing solution. Explore how your team can triple the number of estimates and claims completed each day—all while increasing customer satisfaction, providing more accurate roofing data, and delivering shorter turnaround times. 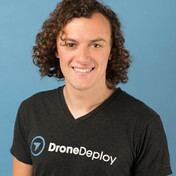 Nicholas Pilkington is the co-founder and CTO of DroneDeploy, where he runs the computer vision teams and is responsible for the company’s technical strategy. Originally from South Africa, he completed degrees in Computer Science, Maths and Information Systems at Rhodes University. After graduating, he received a M.Phil and Ph.D in machine learning from the University of Cambridge as a Nelson Mandela Rhodes Scholar. When he isn’t working, he likes to cook, participate in international coding competitions and practice yoga.